Tea and art. Why not? 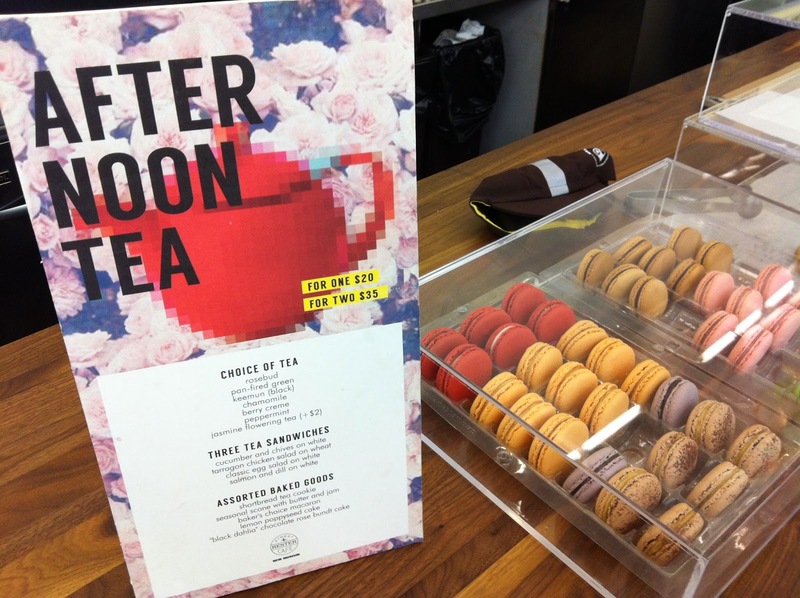 The Hester Street Cafe at the New Museum offers afternoon tea. A nice idea on its own or after seeing an exhibit. 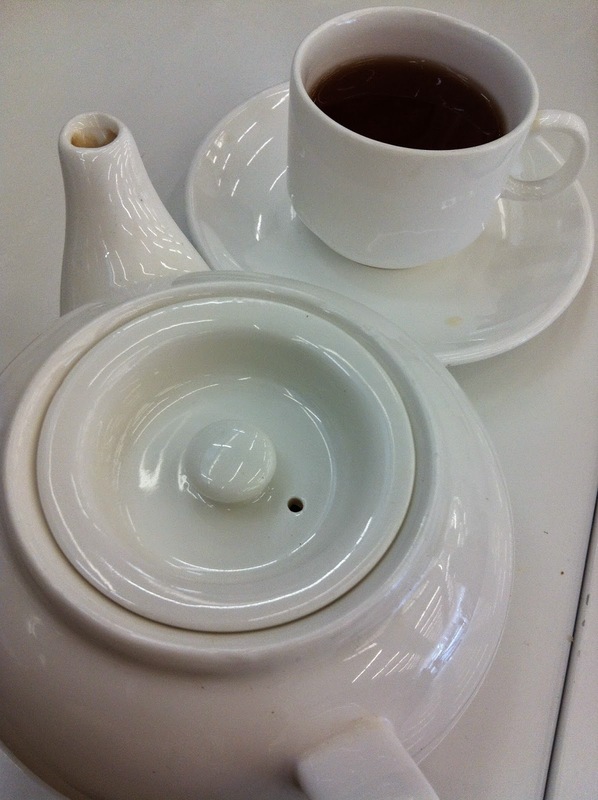 Jee and I ordered tea for two. (You can read Jee's review here.) I chose the keemun and Jee the pan-fired green. Milk was not served with my tea and I did not ask. The keemun tasted as it should and I enjoyed it without milk. I don't have a good photograph of the scones and pastries (shortbread cookie, cakes, macarons). The scones were a bit dry. I was disappointed with the macarons. Now, let's talk about the delicious cucumber sandwiches! (There were only two sandwiches available on the day we went - cucumber and chicken salad. I don't eat chicken so I cannot speak for that sandwich.) 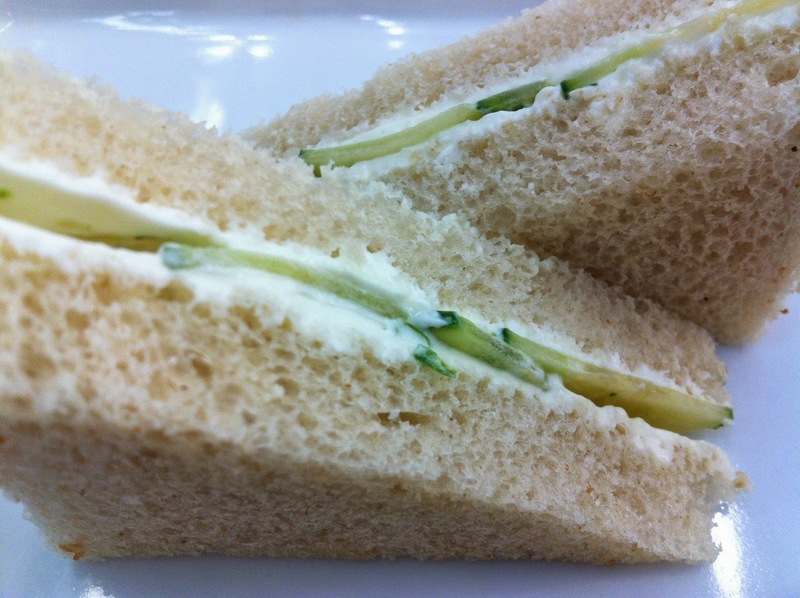 What did I like about the cucumber sandwich? Fresh, flavorful bread, thin slices of cucumber, and a judicious amount of cream cheese. The tea is priced at $20 for one person and $35 for two. Download the tea menu.